CACI International (NYSE: CACI) has finalized its acquisition of LGS Innovations from CoVant Management and Madison Dearborn Partners. Ken Asbury, CACI president and CEO and a 2019 Wash100 winner, said in a statement published Friday the transaction marks the company’s next step in a strategy to broaden its cyber, electronic warfare and signals intelligence offerings. “Our collective strengths give CACI a significant competitive advantage in our marketplace and meet our government’s need for agile innovation in developing and deploying advanced capabilities to our warfighters,” Asbury added. The completion of the transaction comes after CACI closed on Jan. 28 its purchase of Mastodon Design, a Rochester, N.Y.-based manufacturer of rugged SIGINT, cyber and electronic warfare systems. 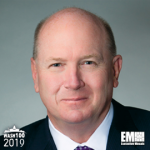 In January, CACI agreed to pay approximately $975M combined to acquire LGS and Mastodon Design in a push to speed up its growth across cybersecurity, intelligence systems and support, communications and space operations areas. CACI said it expects both deals to be accretive to earnings per share and net income, excluding one-time transaction costs worth $17M.